A classic example of 20th century North American rolling stock was the ice-cooled refrigerator car. Atlas O offers a 40-foot steel body version of this long-serving type of freight car. Among recent releases from Atlas O’s Steam Era Classics-series of O-scale (1/48) rolling stock, you’ll find a number of good-looking refrigerator car models. While the tooling for this 40-foot steel reefer does date back to the series label of “steam era,” this excellent Illinois Central (IC) example is ready for diesel-powered trains. I’m in my early 50s, and I can just barely remember seeing some ice-hatch reefers on trains or in railroad yards as a youth. 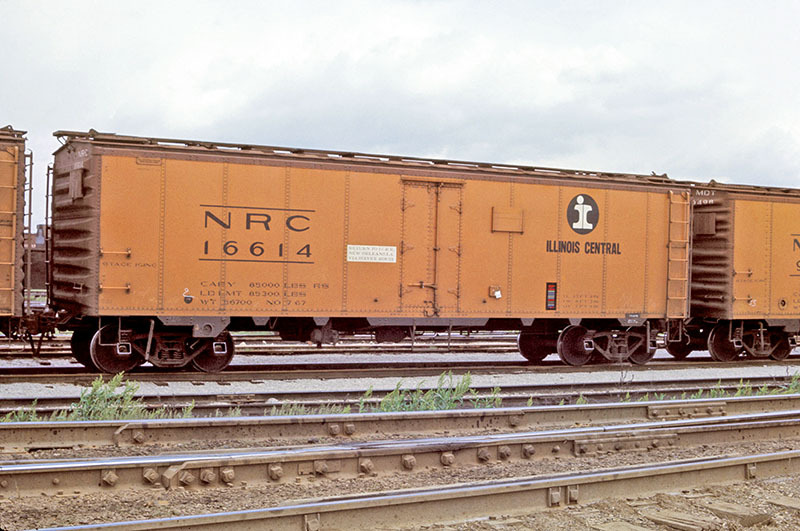 This Reefer Orange-sided Illinois Central model is likely similar to one that I might have seen as a kid and would have been too young to remember. Luckily, my dad was an avid rail photographer, in addition to being a model train enthusiast, and I located evidence of this IC prototype among his collection of 35mm slides. Atlas states its O-scale steel reefer model reproduces and is based on a Pacific Fruit Express (PFE) R-40-10 prototype. Atlas reports its PFE steel reefer dates to 1936 and 1937 from a production of 4,700 cars of this style. The best source for information I know on PFE reefers is Pacific Fruit Express: The World’s Largest Refrigerator Car Company (1992, Signature Press) by Anthony W. Thompson, Robert J. Church, and Bruce H. Jones. This excellent hardcover resource provides more than 400 pages, diagrams, and many prototype images for PFE cars. Briefly, the wood-construction reefer for PFE dates back to 1906 with steel frames coming into use by 1930. 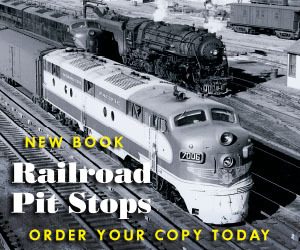 You’ll find the R-40-10 class documented in this book beginning on page 161 and the start of the all-steel construction section of PFE car history. The 1,900-cubic-foot steel reefers in PFE’s R-40-10 class entered service in 1936 and saw construction done by a number of famous freight car builders. Among the R-40-10 providers were American Car & Foundry, General American, Pacific Car & Foundry, Pullman, Standard Steel Car, and others. The fully assembled Atlas O steel reefer model lists for $84.95 in its 2-rail version. 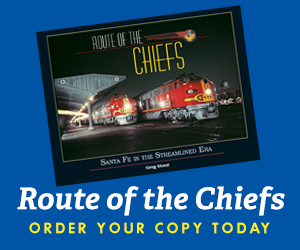 Additional offerings in this run included American Refrigerator Transit, National Packing, Needham Packing Co. (blue-and-black), Pacific Fruit Express, Santa Fe (with “The Chief” lettering), Soo Line (“Colormark” scheme white with blue door), Spencer Packing, and Swift (red). A drawing on page 164 shows the dimensions of this design. Comparing the line drawing illustration of the R-40-10 prototype with Atlas’ O-scale model, I found it matched up well with the appearance of the real refrigerator cars. Both the drawing and model share 4/4 end patterns, and the prototype and model include five riveted panels on each side of the center access door. The history of the R-40-10 states the majority of the fleet was scrapped by 1970 with a small number of cars sold to Ferrocarril del Pacifico (FCP). Mexico’s FCP sent these reefers to its shops and turned them into work train cars. The amount factual information and space available here prohibits a tremendously in-depth pursuit, but those interested in diving deeper into the subject should definitely locate a copy of the mentioned PFE book from Signature Press. This release comes packed in the familiar Atlas light blue window-display cardboard box. The model comes wrapped in thin, clear film and cradled in a white molded plastic base with a clear section snapped over the white bottom. You’ll find a product warranty card included with the model inside its package. The appearance of this reefer model is enhanced by the combination of excellent paint application and equally strong lettering work. The ends and roof received an appropriate Boxcar Red shade, and the sides include a rich Reefer Orange coat. 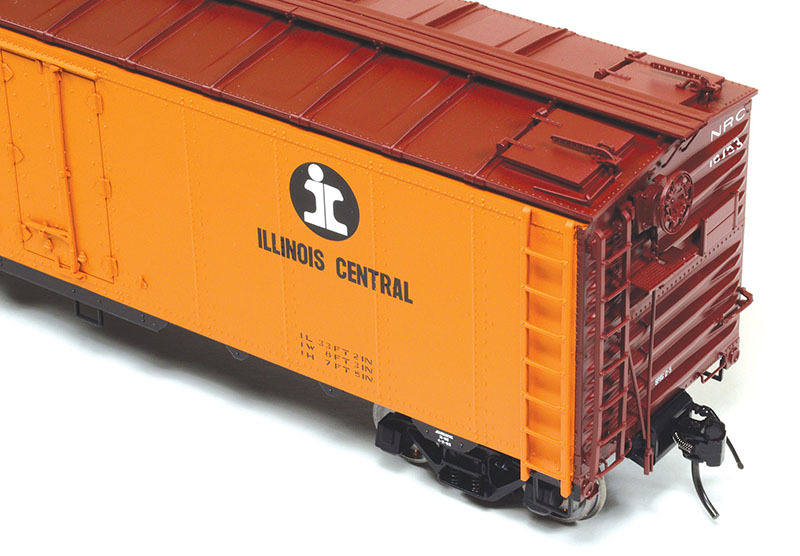 The lettering on the models very closely follows and reproduces what you’ll see on the accompanying prototype Illinois Central reefer image. This well-detailed model includes ice hatches that can be opened. You’ve likely seen pictures of these cars running with hatches propped open, as shown, this was “ventilator service” using natural air flow through the car. Refrigerator cars operated in leasing arrangements and pool situations between railroads. For example, the mentioned Pacific Fruit Express was a Southern Pacific and Union Pacific partnership. Missouri Pacific and Wabash were the initial primary players behind American Refrigerator Transit (ART), and there were others. The “NRC” reporting mark on this IC car represents Northern Refrigerator Line. That service, according to Jeff Wilson’s Freight Cars of the ‘40s and ‘50s (2015, Kalmbach Publishing), included Illinois Central and Gulf, Mobile & Ohio. Noteworthy below the reporting marks and road number among the car’s data is the “RS” stencil. You’ll find it (on both the prototype and the model) located to the right of the capacity information. Refrigerator cars carried labels identifying important facts about the car and its ability. 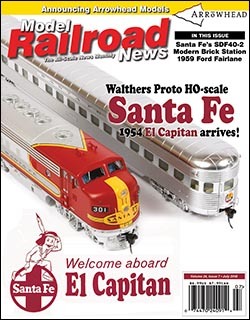 The Association of American Railroads (AAR) put reefers into its “Class R” type, and the letter or letters following the leading “R” denoted more information about the car. In the case of this Illinois Central example, “RS” means the car is an ice-bunker style reefer. The car’s interior cargo area was entirely available for carrying goods because each end included a section that housed the ice. Working as a large cooler, the car was packed down with ice, and that kept the lading cold. An electric fan system, which circulated air around the inside of the car, helped the ice in its cooling efforts. On the prototype image, the first wide tab along the frame over the inside axle of the left truck shows a notched section with a round indention, which houses the control for the fan system. The IC herald on this car is the reason I jokingly titled this review, “very, very late steam era.” The split-rail eye-ball black-and-white herald became Illinois Central’s corporate symbol in 1967. This modern herald took the place of the road’s long-used “Green Diamond” herald. You will find NRC reefers with IC’s “Green Diamond” on them, and this review’s model certainly began its service with that green emblem. Illinois Central was a late diesel adopter; the road is among the very few U.S. Class Is that can claim to have never purchased an Electro-Motive Division F-unit. However, even the IC had been without steam for most of a decade when these reefers had this style decoration. The markings on Atlas’ model show a 1968 servicing, and the prototype image has a 1967 date for service — both would be appropriate times for the new eyeball herald and the revised typeface presentation of the road’s name below the logo. Look at the data below the IC herald on the right side of the car to get an idea of the amount of space ice took up in this car. You’ll see 33-feet, 2-inch listed for “IL” or interior length denoted on the car. The overall length of the car is a bit more than 40 feet. The difference is the ice-carrying locations on each end, as well as the reefer’s exterior walls. The ends of the car include white NRC reporting marks with the car number stenciled below. Depending on your preference, Atlas offers this O-scale reefer ready for 2-rail or 3-rail use. This 2-rail version shows the scale metal wheels and body-mounted metal knuckle couplers. The underframe includes the same level of detail provided on the rest of this model. Labeling on the underframe includes Atlas’ name and “Made in China” origin mark. I’ve always thought ice-hatch reefers make for excellent showcases for details on a model, and this O-scale example doesn’t disappoint. The major areas to show off good design work and intricate details and features on this type of rolling stock includes the center door on the car sides and the four hatches on the roof. The door detail is exceptional, and the vertical rod and horizontal handle are separately applied. Those ice hatches are really awesome and well done. With care, you can raise the clasp or handle up and away from the hatch. The separate plastic hatch will then flip open. To illustrate this feature, I’ve included a picture showing the model with one of its ice hatches propped open and the other closed to allow to view hinge and related details. The B-end includes loads of separately applied details reproducing the brakes, as well as a tack board, grab irons, and ladders. The model’s IC “ball” herald dates to the late 1960s and was used on ice-hatch reefers. It is entirely prototype to open the hatches, all four of them, and run this reefer on your railroad. Though designed to carry ice (and the hatches would stay closed to seal the storage area), railroads could also employ this type of car in “ventilator service.” Products such as bananas or potatoes that didn’t require ice but needed to be kept cool could be transported in an ice-hatch reefer with the hatches propped open. The air flow was sufficient to bring in a breeze through the car and help maintain freshness for select types of fruit and produce, given that it wasn’t overly warm terrain being crossed. The model’s ladders, grab irons, end brake rigging, and placards all appear to be separate details. Examining the brake wheel and checking it against those presented in Pat Wilder’s “Freight Car Hand Brakes – 1920s to 1950s” article that appeared in Railway Prototype Cyclopedia 10, I’d say the model has an Ajax-style example. The accurate wood-style plank running board appearing on the center of the roof is separate and includes finely scaled posts positioned near the roofline on the car ends supporting the running board. In addition to this mid-to-late 1930s steel prototype, the Atlas O line includes Master-series 36- and 40-foot wood refrigerator car models. Visit your favorite hobby dealer for a look at the recent releases or information on the availability of past offerings for these impressive O-scale refrigerator car models.